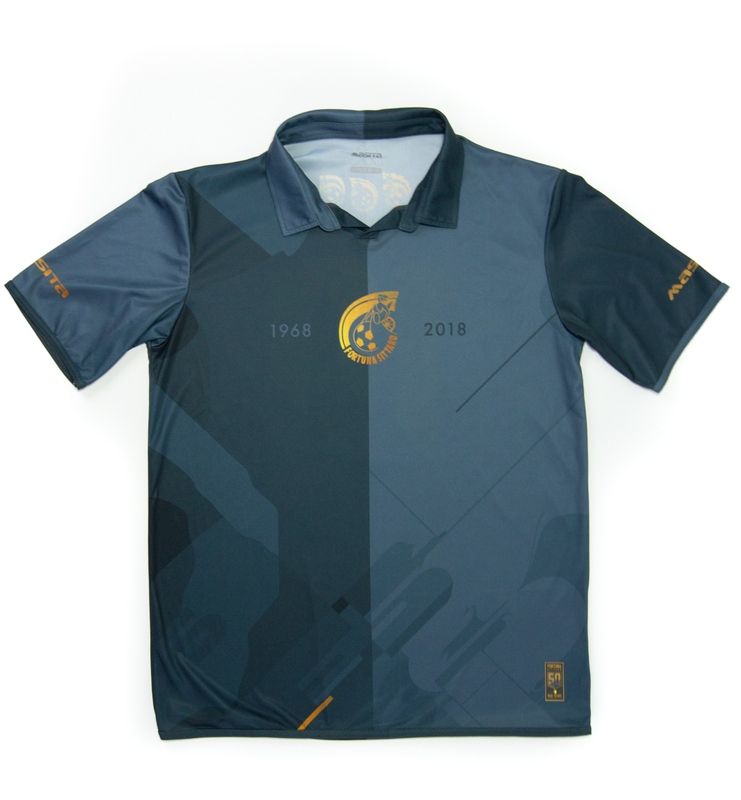 Special edition of the anniversary shirt that he designed for the 50th anniversary of Fortuna Sittard, a professional football club in the south of the Netherlands. DOES came out for Fortuna Sittard as a professional soccer player and he subsequently played during a period of 20 years. Handprinted golden label in the bottom right corner of the shirt. All shirts come in a black box with gold silkscreen print, numbered by DOES. 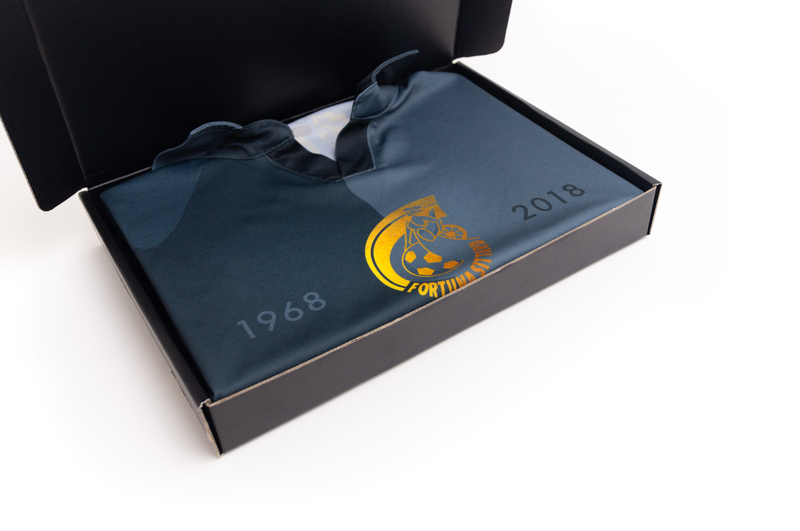 Designed for the 50th anniversary of Fortuna Sittard.